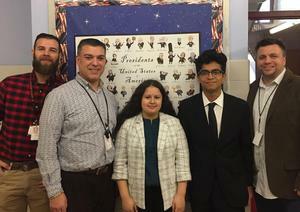 Congratulations to Social Studies Honors Program's Yadary Gutierrez who won FIRST PLACE in the Thomas Jefferson Lecture Series Essay Contest. Yadary won this award last year and this marks the 3rd year in a row the Social Studies Department won this contest! We would also like to congratulate Peter Bellocq who received HONORABLE MENTION in the contest.